The new bag of cat-litter shows a kitty with a background of Europe in cat-litter. Its name? ‘Euro Kat s’. It brings to mind a fairy tale cat who was dressed in ‘7-mile-boots’ and who could travel over enormous distances in very short periods of time. 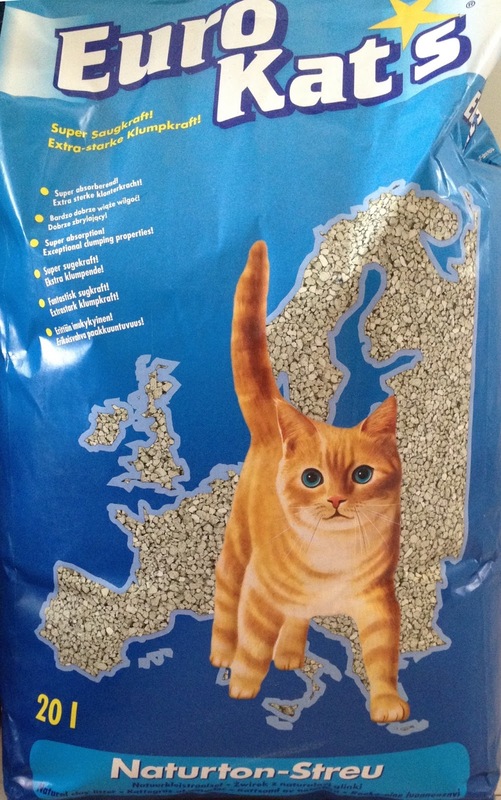 After all, a little kitty cat would need boots like that to actually make it all over Europe. The other thing it brings to mind is the perspective that the best travel is to those places where one can bring their own cat-litter. Or in human terms, where we can eat the same type of food we eat at home, preferably speak the same language as we do at home, and thus create an environment that is fairly predictable. Just like it is at home. Some people prefer traveling that way; and, truth be told, there is nothing wrong with that. After all, when we start traveling to other places, more often than not it is to enjoy ourselves, to relax. And if we can best do that while having the certainty that things are not quite as different as they are at home, then that is what we should go for! Others travel to explore. To feel the differences in the soil as they travel from one place to the next. To taste different foods, smell different flowers, meet different people… They may relax most exploring the dissimilarities between home and the places they are traveling to. They desire to be comfortable, yet they don’t necessarily need the comforts of home wherever they go. And then there are those who truly enjoy the comforts of home right where they are at; at home. They may not see the need to travel at all! As it turns out, whether we travel long distances, short distances, or not at all; whether we bring ‘home’ with us wherever we go, or explore everything about the place we have travelled to; it really doesn’t matter as long as we are enjoying ourselves. It is like traveling our personal paths. Whatever our next step is, how we take it, where we explore and gain new experiences, it is what we choose to do. In other words, where we find ourselves at the end of the day is a place of our own choosing; as are our experiences along the way. It is up to us to be discerning, and choose those things that bring us happiness.